AARON MATÉ:	It’s the Real News. I’m Aaron Maté. 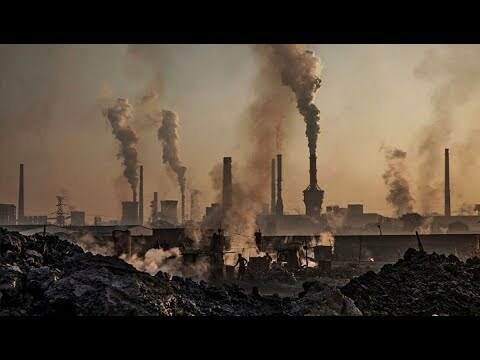 Pollution kills at least nine million people per year around the world. This according to a major new study in the British Medical Journal, The Lancet. The study also highlights the deaths and damages resulting from air, water and soil pollution caused $4.6 trillion of economic damage per year. Most of these costs and deaths are located in developing countries, but many developing countries, such as the U.S., are also affected. Pollution causes far more deaths than tobacco, infectious disease or war, say the study’s authors. I am joined now by Bill Black, white collar criminologist and associate professor of economics and law at the University of Missouri, Kansas City. Welcome Bill. Striking figure there, pollution killing nine million people per year. Your takeaway from this major new study? BILL BLACK:	It’s what we’ve been trying to emphasize for years that is blocked by typical, neoclassical economic nostrums. First, it not only kills that many people, the author said because of biases in the study that cause severe under-counting, they think the real number is millions more. So in context, the nine million number is one-sixth of all the deaths worldwide if they’re correct that it’s understated. It may be closer to one-fifth of all the deaths annually are due to this kind of pollution. Second, it creates what we call a pathogenic environment. So for example, it helps produce infectious disease. Many of the things that kill you are not necessarily counted, even though pollution contributes to that. By the way, in criminology, when we use a criminogenic environment, that’s a direct steal from this concept of a pathogenic environment that spreads disease. As you said, it’s not only in … Typically, the deaths are heavily concentrated in poorer countries, but of course, they’re heavily concentrated in the poorest sections of those poor countries. Other deaths, for example we’ve been exceptionally successful in many places, first things we do in developmental economics is say, “Clean up the water system and the sewage system,” because it’s the great vector that spreads, for example, infectious disease. Anybody that’s read the novel, Love in the Time of Cholera, that’s what the doctor tries to do is eliminate the waterborne illnesses and such. Why? Well, because those become epidemic and they can kill the rich as well as the poor, but most of these other kinds of deaths are so heavily concentrated among the poor that it often doesn’t create the same political dynamic to fix the problem. This is why we emphasize that fraud and corruption maim and kill. They aren’t just money even when the money is over $4 trillion. Let me emphasize that as well. It isn’t just the nine to eleven million people that it kills, it’s all the people that it makes sick and maims along the way, dramatically reducing their quality of life. But coming back to the money. The money is immensely important because in economic theory, it’s the firms that produce that pollution that are supposed to bear that cost. Instead, they’re shunting it off to the weakest victim, and that is a direct enormous contribution to their profits, and help explain, of course, why so many large corporations have moved out of places like the Unites States to places where even if they have environmental rules and laws, they’re simply not enforced effectively because of corruption. Now, we have the Trump administration trying to bring this in spades to the United States through their war on science and their war on regulation. Just last week, we had the EPA forbidding three of its climate scientists from giving public talk, explaining the climate science. So we have an active cover-up, and it’s going to maim and kill people but it’s also going to distort our economy. Again, it’s going to be aggressions dynamic, in which the worst firms that pollute the most, that kill and maim the most, get the biggest implicit economic advantage because they don’t bear the expenses of the pollution. In economics jargon, that’s called externalities, or more precisely negative externalities, but obviously that’s sort of euphemistic when you’re talking about people dying by the millions. AARON MATÉ:	Right. So in short, they gain the benefits from admitting this pollution, but they externalize the cost, so they outsource the cost of the pollution onto other people? BILL BLACK:	That’s right, and they are helped by the anti-regulators of the world and the corrupt politicians of the world. While that happens most frequently in less developed nations, it’s happening increasingly in the supposedly developed nations, and most assuredly in the United States of America right now. AARON MATÉ:	You’re an expert on regulation. What are some of the key things that could be done to seriously tackle the problem of pollution? BILL BLACK:	Well, we can actually measure most of these forms of pollution. The first thing is getting the data, and when you get the data … In many cases we can collect the data by satellite so we don’t actually have to go into the country. It doesn’t mean that the data will be perfect, but it’s often good enough to know that there is massive non-enforcement. At that point, you have to have international carrots and sticks to actually enforce the laws. Otherwise, you create a situation where whichever country maintains the weakest laws and regulation against pollution, the nation that’s most willing to maim and kill its people, gets this economic surge. AARON MATÉ:	A great example of how the so-called free market doesn’t quite incentivize good behavior, good behavior for the planet. BILL BLACK:	In aggressions dynamic, the market incentivizes absolutely the worst behavior, rewards the worst behavior, and drives the honest firms out of business. That’s why honest CEOs are big supporters of effective regulation in areas like pollution, on opioids, on banking and such. When you see corporate leaders leading the charge against regulation, you know that that only makes sense if they’re running dishonest firms. AARON MATÉ:	We’ll leave it there. Bill Black, white-collar criminologist, associate professor of economics and law at the University of Missouri, Kansas City. Thank you.